At Glass Maxx, we pride ourselves on delivering the highest quality glass products and services at an affordable price. Glass Maxx is independently owned and operated by long-time Westchase resident, Bob Langer. With years of knowledge in glass cleaning, replacement and installation, your neighborhood Glass Maxx is dedicated to finding the affordable solution for all of your glass repair or replacement needs. Great Customer Service: Our business is centered on your satisfaction. We will be on time; we will be in uniform and will maintain a professional attitude at all times. 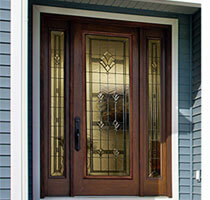 Glass Maxx will find the right glass products and services for your needs. Our valued customers will be 100% satisfied with all the glass products and services you receive from us. 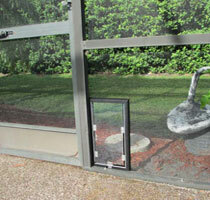 Great Products: All of Glass Maxx's glass products are backed by the manufacturer's warranty. As your local source for national brands, we are able to provide you with the finest products in the glass industry today from the most trusted glass manufacturers around the world. 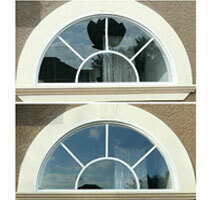 When possible, we also provide "green" glass repair solutions to eliminate the need for replacement. Great Value with Green Solutions: Along with great glass products and great customer service, we provide great value. Glass Maxx provides many services that offer a "green" glass repair solution which could eliminate the need for a complete replacement. Our proven glass repair processes can save you thousands when compared to a full replacement. Peace of Mind: All worked performed by Glass Maxx is backed by a warranty. About the Owner: Bob Langer was raised in Bloomington, MN. As a child he was always fascinated with business and began working at the family franchised auto body business at the age of 10. During the 15 years he learned the proven skills that would be his foundation for business life ahead and eventually he would own two auto body shops of his own. In 1988, he moved his family to Florida to experience the great weather he had always enjoyed on vacation. In Florida, his career took another direction that led him toward electronics, automotive, and architectural glass building products manufacturing. Over the years and through promotion, he found himself managing larger, very complex projects. He specialized in bringing new products to production and eliminating waste in the process. These challenges provided the experience required to offer his customers the expertise required to complete projects affordably, on time, and at the highest quality. Bob lives in Tampa with his wife, Lisa, and their children for the last 13 years. When free time is available, they enjoy time on their boat in the Gulf of Mexico, attend concerts with family & friends, and participate in their children's high school functions.